Things go elaborately and spectacularly wrong when the Bruschetti brothers decide to retire from the crime business, and New York actor Harry Murphy accidentally overhears their plans for murderously cleaning up some loose ends. 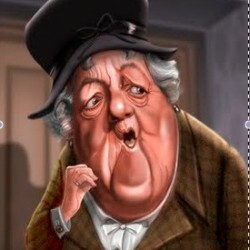 Harry decides to warn one of the brothers’ targets, and the more the brothers try to clean things up, the messier they get––for them, for Harry, for the beautiful and feisty British police agent Harry teams up with, and for various compatriots of the brothers, family members and law enforcement. I’d have liked to see a bit more character development with Harry and the other main characters, and there is a sexual plot point late in the book that struck a false note for me, but on the whole I found this to be an entertaining read and a winning first writing effort by longtime actor David McCallum. 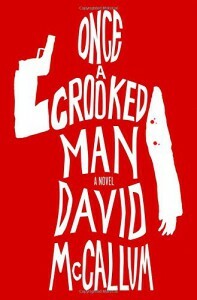 Disclosure: The publisher provided a free advance reviewing copy of Once a Crooked Man.